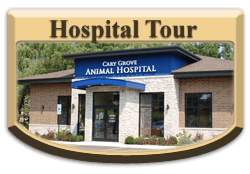 Welcome to Cary Grove Animal Hospital! 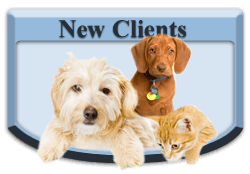 New to Cary Grove Animal Hospital is therapy LASER services! Click here to learn more about LASER treatments. Learn more about our SURGICAL SERVICES on our updated surgery page! Click Here. Our doctors and staff would love to welcome you and your pets to our practice! 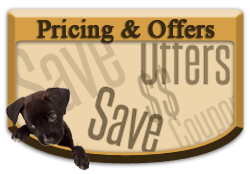 We are a locally owned animal hospital that is customer service oriented. As a privately owned veterinary practice, we don't answer to a large corporation that dictates medical protocols or sets monthly goals for sales figures. We take an individualized approach to patient care and want to be sure all of your pet's medical needs are met. We tailor our treatment plans to your pet and do not push unnecessary products, vaccinations, or other services. Our staff and doctors will also be sure all of your questions and concerns are addressed during your visit, or during follow up communication. We serve clients from Cary IL, Fox River Grove IL, Barrington IL, Crystal Lake IL, and many surrounding areas. 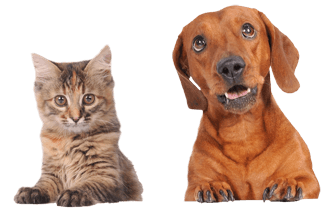 Veterinarian Dr. Fritz Trybus with his team of experienced and caring doctors and staff have provided animal medical and surgical care to McHenry County IL and Lake County IL pets for over 12 years. Our hospital facility is well equipped to provide the latest advances in Veterinary Medicine and Surgery. We are a fully digital practice and offer an in-house laboratory, on-site pharmacy, digital x-rays, advanced dentistry, digital dental x-ray, orthopedic and soft tissue surgery, as well as comprehensive medical and routine surgical services. We also offer TonoVet glaucoma screening, therapeutic Laser services, and diagnostic ultrasound. Along with treating illnesses, we also place an emphasis on preventative health care for young to senior pets. This includes wellness examinations, vaccinations, Heartworm and Lyme disease testing and other wellness blood testing. We offer modern, advanced vet care delivered in a compassionate down-to-earth fashion. Simply put, we provide each of our patients with the same level of treatment and care we would want our own pet family members to receive! While dogs and cats are the most frequent patients we see, we also treat rabbits, guinea pigs, and other small mammals. We look forward to serving you and your pets for many years to come.